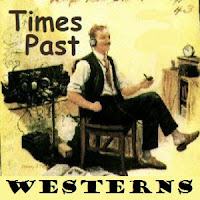 Welcome to Times Past old time radio and nostalgia community. You will find here a variety of nostalgic content from old radio shows of the golden era, as well as photos, video and much more. All the content here is contributed by the members of the community, free for the taking, and is solely for your personal, non-commercial use. There is nothing for sale here. You will find the members at Times Past more than happy to oblige an old-timer, newcomer or visitor alike, all from the love of a hobby. Enjoy your stay, and you are always welcome to partake in the community here and invite your friends. However, there is a zero tolerance policy for spam. To all members of Times Past. To receive future shows please subscribe to the feed, like (Add to iTunes). Select the RSS feed to add to your favorite pod catcher if not listed. This item belongs to: audio/oldtimeradio. The grand opening of the new House of Toast has a shy visitor.. This item belongs to: audio/bobandraytoaster. This item belongs to: audio/noackradioarchive. All 7 episodes of the classic television serial from E Nesbit's novel. The serial stars Jenny Agutter as Roberta, two years before she played the same role in the 1970 movie. This item belongs to: movies/classic_tv_emperor. ""Robert added a discussion to the group WESTERNS Lakota John, U.S. Marshall - Volume 3 - Three Bullet""
groups by most active, or sort them by latest activity, most members, or latest created. Just choose your option from the "Sorty by" menu. Once you find an interesting group, click on its title. If the group is public, there will be a link in the top right of the page to join the group. If the group is private, you can apply to join the group from the group's page. Select "View All" to see complete list of Groups. Groups Below Are Listed By The Latest New Activity On That Particular Group. The Group with the most recent Activity will be in the first position and so on.